Marvel's favourite neighbourhood hero is swinging back in action, and this time he has some unexpected friends. 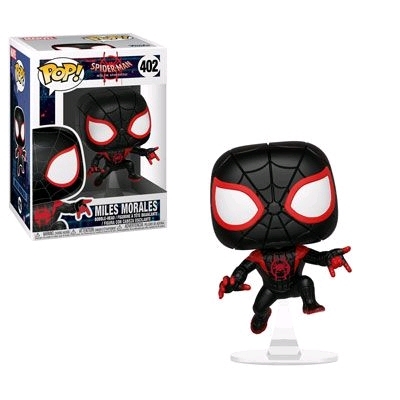 Featuring a Spider-verse design this Pop! Vinyl Figure measures approximately 3 3/4-inches tall and comes packaged in a window display box.